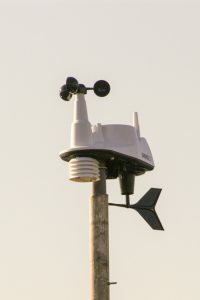 The “stack of white plates” which form a radiation shield for the temperature and humidity sensors is directly below the cup anemometer. The radiation shield is designed to stop the sensors getting heated up in the sun. 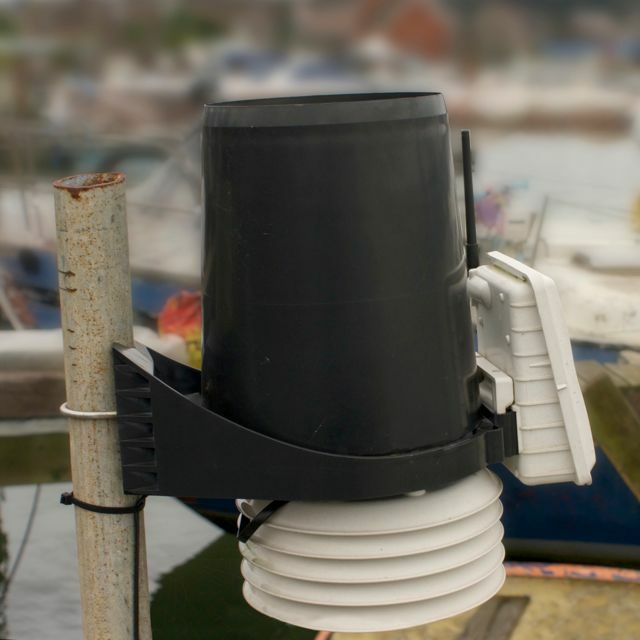 Situated at the end of the jetty, the sensors are well exposed to the surrounding air and normally should give accurate readings. However remember that they are over the river. In some circumstances (e.g. a calm, frosty night) conditions over the river may be different from over the land even just onshore. Also, on a hot day, air over the river is likely to be cooler than air over the land.